Exposure Communications are a creative agency specialising in events, social media and PR. They host regular events, such as Citizen Event, which aims to connect event professionals with one another through breakfast networking sessions. They hosted their first ever Event Industry Charity Cyclathon in May this year at Silverstone; the world-famous racing course and home of the British Grand Prix. The event saw 20-30 event professionals took part to raise money for charities such as Events For Namuwongo, Meeting Needs, Pancreatic Cancer Research Fund and Walk Tall. Exposure Communications wanted to have professional photography coverage of the entire Cyclathon in order to have some high-quality content for their marketing and PR campaigns. They required both the race and the moments before and after to be captured, such as the briefing, the awards and individual cyclists during the race. Further to this, we aimed to help them reach a wider audience to raise awareness of the event and help them to boost charity donations. We provided specialist sports photography coverage across multiple focus points to capture the highlights of the Cyclathon, including the moments before and after the race. In order to ensure that we achieved the highest possible quality of photos for Exposure Communications, we took over 1,200 photos during the event, 337 of which we expertly retouched and delivered to their online gallery the next day. To help them raise awareness of the event we provided ‘Live Images’ whereby we shot, retouched and delivered 20 photos within 2 hours so that they could be shared as the event was taking place. We also delivered the top 10 retouched images the next morning to maximise their PR efforts and help boost donations post-event. Through the use of our Live images, Exposure Comms increased their online engagement by 20% and achieved more than 50 mentions across multiple social media channels on the day of the event. Thanks to increased engagement and awareness, the company managed to exceed their donations target of £500 by £1,590. 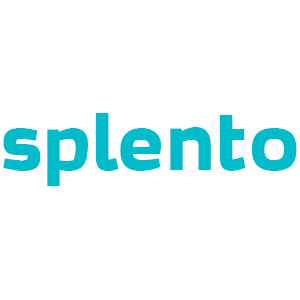 Splento achieved just over 300 unique visitors to our online galleries and 2070 individual images downloaded post-event.